Atrial fibrillation is an irregular heartbeat or arrhythmia that is characterized by a quivering or abnormally rapid beating of the heart. Also referred to as AFib, the condition, according to the American Heart Association (AHA), affects about 2.7 million individuals in the U.S. It significantly increases a person’s chance of fatal heart-related issues or a stroke. Fortunately, there are non-surgical and surgical interventions that can reduce the risk and enable patients to live a normal life. When this occurs, the heart’s two upper chambers (atria) beat irregularly and out of sync with the two lower chambers. The upper section should squeeze before the bottom in a normal cardiac contraction. If not, the heart cannot effectively move blood between the atria and ventricles. A cardiologist should be consulted right away if you suspect you have AFib. It’s not usually life-threatening, but delaying treatment can increase the risk of serious complications. AFib is commonly associated with peripheral artery disease. The risk of developing either or both is increased in people with diabetes or those who smoke, and these conditions also raise one’s chances of heart disease/failure and stroke. People may experience AFib at different levels. It may only be occasional (paroxysmal) and last from minutes to hours before stopping. Persistent, long-standing persistent (lasting over 12 hours), and permanent fibrillation requires either medications, electric shock, or surgery to correct. 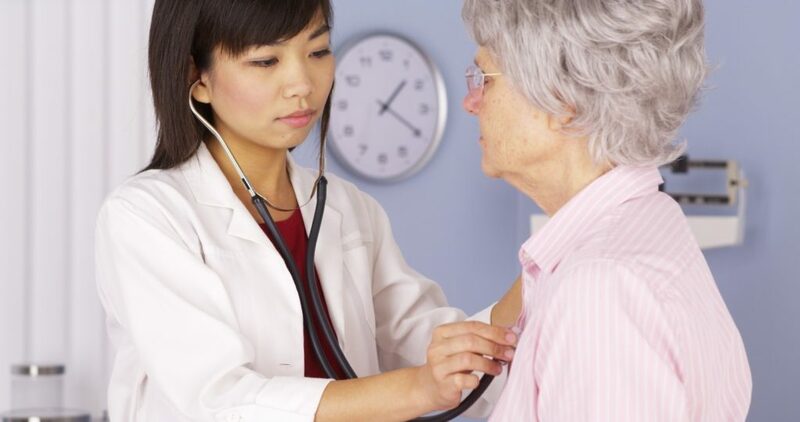 Age: People over 60 years old have a greater likelihood of developing AFib or conditions/diseases that trigger it. 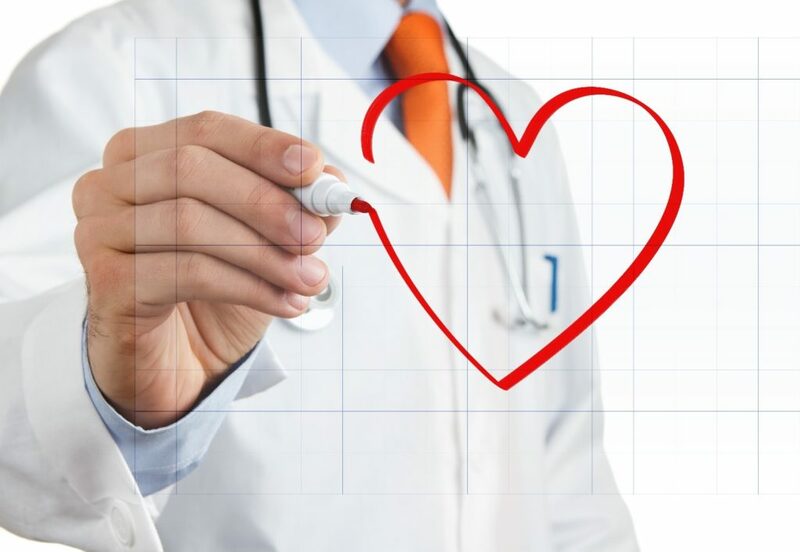 Heart disease: Coronary artery, heart valve, and rheumatic heart disease; heart failure; a weakened heart muscle; birth defects; or an inflamed pericardium (membrane surrounding the heart) can cause the condition. Sick sinus syndrome: A condition in which electrical signals misfire, making the heart beat fast and slow alternatively. Lung disease: Emphysema, blood clots in the lungs, and chronic obstructive pulmonary disease can lead to AFib. High blood pressure, obesity, diabetes, sleep apnea, and hyperthyroidism, although not necessarily related to the heart, can be associated with heart rhythm problems. Medications, alcohol, tobacco, caffeine, steroids, and other stimulants can play a role as well. If the cause is AFib, irregularities in the heart’s electrical signal will be evident. The sinus node in the right atrium serves as a natural pacemaker. Impulses are generated from here every time the heart beats. Passing through the atria, these signals reach the atrioventricular (AV) node, causing the atria to contract and blood to pump into the ventricles as they do. During atrial fibrillation, the signals in the upper chambers are chaotic. Impulses bombard the AV node as electrical signals are sent to the ventricles, but not all of them get there. The atria, therefore, beat more rapidly. Normally, the heart beats at a rate of 60 to 100 beats per minute, but, during AFib, it may be 100 to 175 beats per minute, according to the Mayo Clinic. If you have chest pain, seek emergency treatment immediately. It is a classic sign of different types of heart attacks, including coronary artery blockages, partial blockages, or arterial spasm. Symptoms of a heart attack are not always sudden and dramatic. They can include pain spreading down both arms or to the jaw, head, or back. It may even feel like a toothache. Sweating, nausea, vomiting, and abdominal discomfort may occur, and female heart attack symptoms have been described as flu-like rather than seeming heart-related. These are different than the classic heart attack symptoms men report, such as pain. Beta-blockers and calcium-channel blockers: These can control the rate at which the heart’s ventricles contract, reducing stress on the organ. Different medications may be tried before finding what works best. Effective 30% to 60% of the time, says the AHA, such medicines can become less effective over time. Antiarrhythmic drugs: These can control heart rhythm for a while, but, for most patients on anti-arrhythmia therapy, normal sinus rhythm is eventually hard to maintain. These medications are also known for a range of side effects. Blood thinners/anticoagulants: AFib patients are at risk of developing blood clots in the heart, which can break away and cause strokes. These medications reduce the risk of clots forming, although they don’t correct any heart rhythm irregularities. Coumadin, Xarelto, Eliquis, and Pradaxa are examples. The best treatment isn’t always medication. Another non-surgical method is using an Automated External Defibrillator (AED), which is essentially performing a type of rhythm reset. During this procedure, a cardiologist delivers an electric shock via paddles or patches outside the body. The shock works by resetting heart rhythm with electricity. Before an AED, you may receive a TransEsophageal Echocardiography (TEE). An ultrasound device placed inside the esophagus can view the atria where blood clots may be hidden. If they are found, a blood thinner may be prescribed prior to the procedure to prevent stroke. For many patients, TEE works only temporarily, and medications may be required indefinitely. Ablation: Catheter ablation is a non-invasive surgical procedure in which an electrophysiologist delivers long, thin wires to the heart. Inserted into the upper thigh, arm, or neck, these are passed through blood vessels before entering the heart’s chambers, where electrodes are used to apply heat, cold, or lasers to create scars where faulty electrical signals are coming from. Atrial fibrillation ablation – Also known as pulmonary vein isolation, this uses radiofrequency energy to scar heart tissue to control AFib. Cryoablation – A catheter balloon is inflated once inside the heart; it is then cooled to freeze any tissues thought to be causing rhythm abnormalities. AV nodal ablation: Scarring the atrioventricular node permanently disables it, so signals can no longer be transmitted between the upper and lower heart chambers. The patient then receives a pacemaker for controlling the heart’s electrical signals. Pacemaker: A pacemaker is a medical implant. It consists of an electrical pulse generator, battery, and wires. Implanted near the collarbone, it sends electrical signals when needed, like when the heart beats too fast or too slow. With each surge, it should return the heart to its normal rhythm. One or more wires may be connected to the pacemaker. Most of the time, patients with pacemakers can go about their lives with no restrictions. Cell phones, metal detectors, or any medical or non-medical magnetic device can have some effect on them. Anti-theft systems may as well. However, limiting exposure and being aware of devices that can affect pacemakers can maximize your safety. Left Atrial Appendage Closure Device: Individuals with an intolerance to blood thinners, or who are at risk of bleeding, can receive a device that seals off the left atrial appendage. This is an area where most blood clots form in patients with AFib. The device is effective at reducing the risk of stroke while reducing a person’s long-term risk for bleeding, although it’s not recommended if you have a heart valve problem causing the abnormal rhythm. There are no food or drink restrictions afterward and regular blood tests are not needed. Open Heart Surgery: Surgeons can perform maze heart surgery, which is a more complex procedure. It involves making small cuts in the upper half of the heart, which are then stitched together. As this area heals, scar tissue develops, which blocks some of the electrical impulses associated with atrial fibrillation. If the operation is successful, it restores normal heart rhythm. If you’re located in or near The Villages, FL or Lake, Sumter, and Citrus Counties in FL, medical testing and other services are available if you suspect AFib or need to monitor an existing condition. We offer electrocardiograms, abdominal aorta ultrasound, stress tests, Holter monitoring, carotid ultrasound, pacemaker checks, and more. Surgical and non-surgical atrial fibrillation treatments are available, as are treatments for various other cardiovascular issues. We employ Board Certified Cardiologists and maintain diagnostic imaging facilities with state-of-the-art medical equipment. All our physicians are trained in the latest procedures and technology. To learn more about Cardiac & Vascular Consultants and receive the best in AFib testing and treatment, fill out our contact form or call 352-633-1966 today.